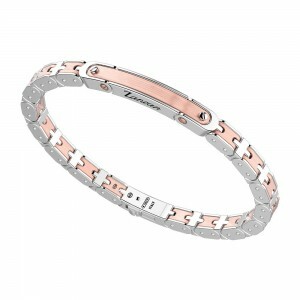 Collections>Eternity>Rose gold and silver bracelet. 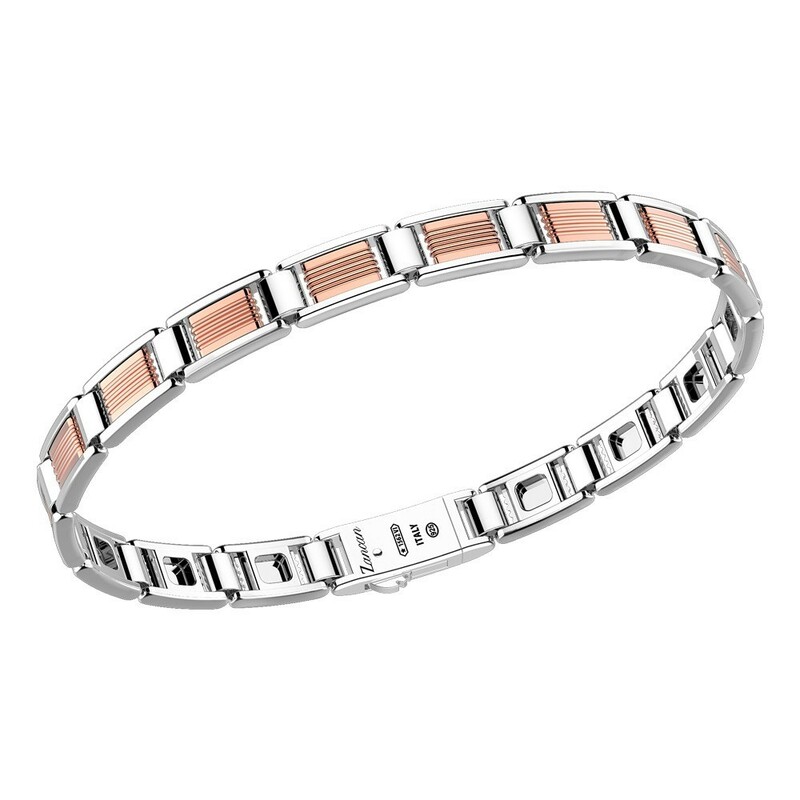 Home > Collections>Eternity>Rose gold and silver bracelet. 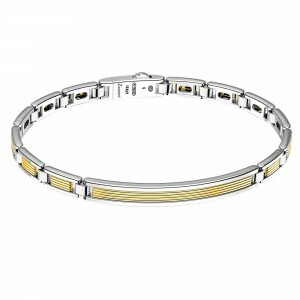 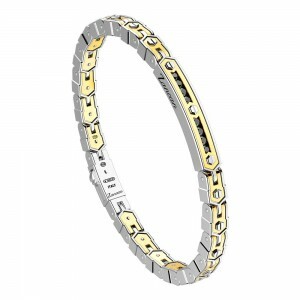 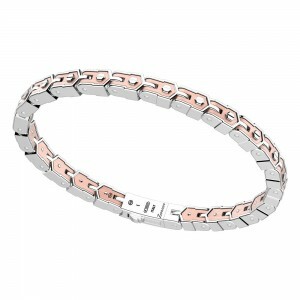 Bracelet with rigid links in silver and pink gold. Bracelet weighing 15,00 gr in 925 silver. 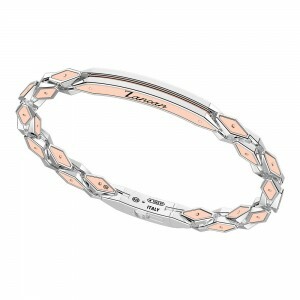 Inserts in 18 kt pink gold weighing 1,30 gr.